Just a quick note, I was incommunicado for the past few days thanks to a feline-induced computer malfunction. Everything is fine now, so I'll get to some of the recent comments that were posted (and I just approved). Just wanted people to know that I wasn't blowing them off, or hadn't disappeared! 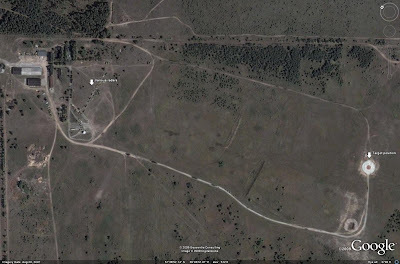 Want to see what the SAM Site Overview will eventually look like? Download this: Right-click, Save As. Notice that you can click on every single icon and the relevant info, such as I have been able to determine it, will pop up. Eventually every single icon will work this way. Eventually. There are a buttload of them to process through. Starting with the next update, you'll now be able to click in the Places screen where it says "SAMS by country" and get a menu titled "Fully interactive nations". There you'll see a list of all nations that are completed. -Any puffball radar sites will likely remain labeled, simply, EW site. Unless I have info definitively proving what's inside, I won't speculate. -Some icons will eventually have another listing for Notes. This is where anything amusing or interesting that doesn't fit within the framework of the basic stuff you see in Algeria will go, such as extra components lying around, or whatnot. -Some icons will be headed with a line called Site layout. This will be where an S-300P battery residing on a prepared S-75 site will be labeled. -As seen in a lot of Algeria's EW sites, if I can't determine or have no information stating what specific variant of a radar or other piece of equipment is used, I'll list a generic descriptor, like P-35/37 BAR LOCK. That tells you that the radar is either a P-35 or a P-37, and the Western name for the family is BAR LOCK. Feel free to leave any feedback here, or in the SAM Site Overview thread on the IMINT & Analysis Forums. Radar cross section (RCS) measurement facilities are integral components in designing a modern combat aircraft. With the proliferation of advanced SAM systems capable of engaging reduced- and possibly low-RCS targets, such as the Russian S-300P series, attention to an aircraft's radar signature is becoming increasingly important to the success of a major air combat operation. This article will detail known foreign RCS measurement facilities, as well as providing an update to a previous feature on American facilities. Many of the world's major combat aircraft are designed and built in Western Europe. 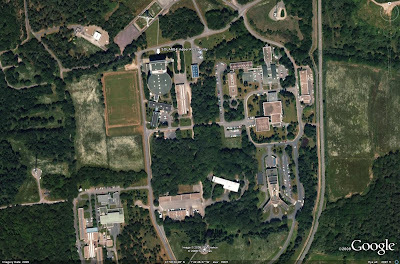 It should come as no suprise that there are RCS measurement facilities located on the grounds of British Aerospace, EADS, and in France. BAe Warton is home to an RCS facility comparable to many of those seen in the United States. Supporting BAe's work on low-RCS designs, such as the Replica, and potentially aiding the Eurofighter program, the RCS range is situated on the grounds of BAe Systems' Warton airfield. A retractable hangar allows for test articles to be hidden from view, while a possible secondary measurement platform allows for objects not fitting inside the hangar to be evaluated. 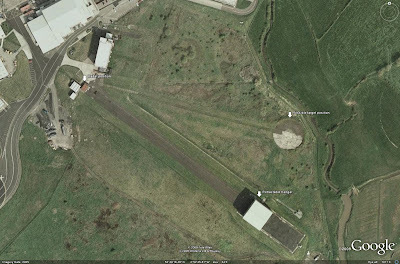 A much simpler RCS facility exists on the grounds of EADS' Manching airfield in southern Germany. This facility consists of a relocatable radar array and a pedestal or tower for mounting test objects. This facility likely supports signature reduction work for the EF-2000 and other European aircraft programs. 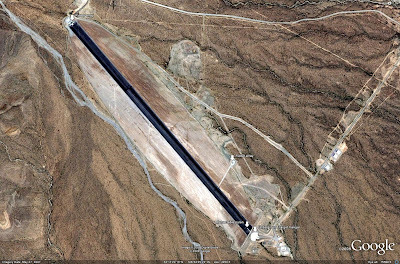 The relatively "unhidden" facility suggests that it may be used for evaluating existing airframes, with more sensitive designs being tested elsewhere. France's SOLANGE RCS facility is an expansive, fully indoor RCS measurement complex. SOLANGE is operated by CELAR, part of the French Defense Ministry, and is large enough to mount a full-scale aircraft or test article indoors. SOLANGE is significant as it was employed in 2005 to test a model of Japan's ATD-X stealth demonstrator. The Swedish Defense Agency (FOI) is believed to operate an anechoic chamber at Linkoping AB for conducting RCS evaluations. It is not known if the facility mounts full-size aircraft or reduced-size test articles, but the positioning of a facility which may be the RCS measurement complex in question suggests that an aircraft such as a Saab Gripen could be taxied into the chamber. Two large outdoor RCS measurement ranges currently exist inside of Russia. It is not currently known if individual manufacturers are affiliated with a certain facility. 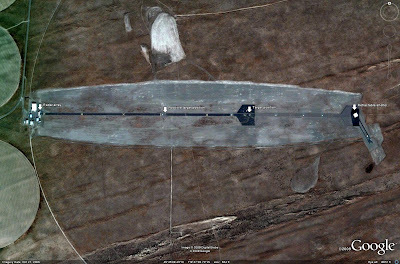 A former RCS measurement ranges were located at Aralsk, Kazakhstan, but is no longer believed to be active and has not yet been located. The Tver RCS range, formerly known as the Kalinin RCS range during the Soviet era, is located northwest of Moscow. This facility is interesting as it appears to be constructed to measure the RCS of objects suspended between two large gantries. The gantires are separated by approximately 400 meters, with the attachment point for the test object roughly halfway between them. Various exapmples of land-based radar systems are located at the western end of the large clearing housing the measurement range. Voronezh in southwestern Russia houses a second RCS range facility. 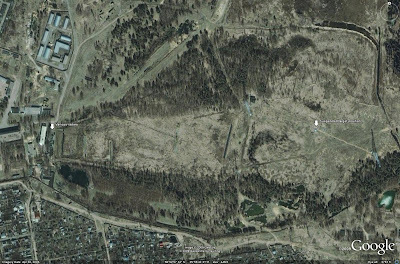 The Voronezh facility, previously identified in an Image of the Week, is similar to the northern facility at Tver insofar as it employes a large cleared area for radar propagation and a battery of land-based radars for signal generation. However, while Tver seems to be designed for measurement of suspended test articles, Voronezh appears designed for measurement of surface or pylon-mounted articles. The circular platform where test articles would be mounted also appears to contain a rotating central area, allowing for signatures to be measured at different aspect angles without having to completely reinstall the test article. 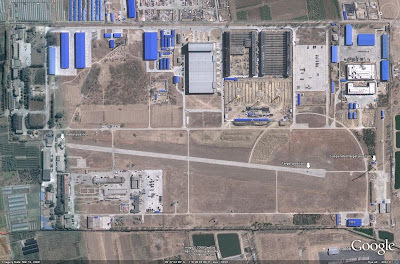 China operates a large RCS measurement facility in Beijing. 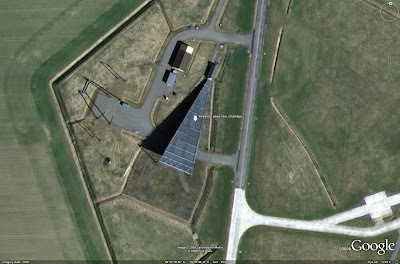 This facility is co-located with a test facility for numerous new radar systems, including the HT-233 guidance radar for the HQ-9 SAM system. This expertise potentially provides the RCS range with numerous qualified personnel to accurately measure test articles, as well as a facility for evaluating the performance of new radar systems. The test articles themselves may be mounted on a platform at the southern end of the radar pathway, or could theoretically be mounted underneath a crane located south of the measurement platform. An old MiG-15 airframe located near the crane platform may be employed as a calibration device for the radar range. 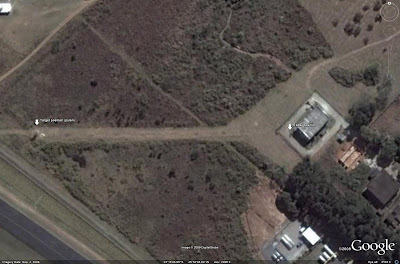 Brazil's Aeronautics and Space Institute in Sao Jose dos Campos operates a small outdoor RCS range. The range consists of a pylon for mounting targets of up to 2000 kilograms, and an adjustable radar array capable of being adjusted in both elevation and azimuth. The range is used to measure small objects, and to evaluate the effects of radar-absorbent materials. 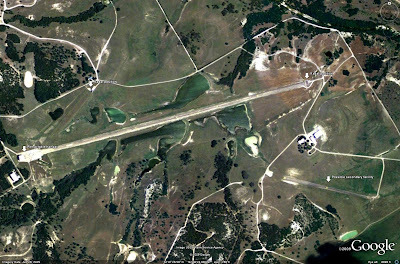 The first feature detailing American RCS ranges and other classified test facilities was published in August of 2007. 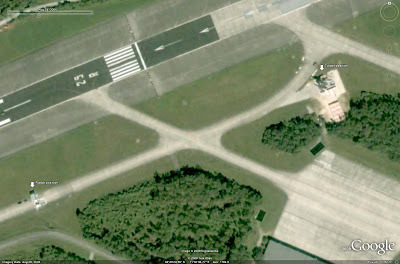 Since then, higher resolution imagery of two locations has been made available, and a new facility has been located. Boardman The new facility is located near Walnut Springs, Texas, and is believed to be a former Lockheed Martin RCS measurement facility. The Walnut Springs RCS range consists of a retractable hangar for mounting test articles and two radar positions. A possible secondary facility may be located southeast of the main range. Feel free to discuss the content of this article at the IMINT & Analysis Forum in the discussion thread found here. You must be a forum member to view the thread. -All information contained in this article is sourced from the public domain, principally the World Wide Web, and is not intended to imply the dissemination of, nor does it contain, restricted or classified material. Strategy Page, apparently some sort of news-oriented military info site, went and hijacked one of my analysis pieces back in November. The offending article can be seen here. Now, I don't mind others making full use of my work. If I cared that much, I'd be publishing books. But if you want to use anything or mention my analysis in another piece, at least give credit where credit is due. What's really funny is that the comments page has one poster opining for the coordinates of the site to examine. Had they linked back to my posting made four days prior to their "news", the guy would've gotten what he wanted! Sorry for the rant. I'll try and be a bit more productive now. Former Defense Intelligence Agency analyst Tom Hunter will lead a free “Insider’s Guide” webinar, Insider’s Guide to Careers in Intelligence Analysis, on Thursday, December 17, from 11:00 AM - 12:00 PM PST. Mr. Hunter served as a senior intelligence officer with the Defense Intelligence Agency (DIA), where he specialized in Homeland Security, terrorist tactics, hostage rescue, Detainee Support, and South American narcoterrorism. During the webinar, sponsored by Henley-Putnam University, he will provide an overview on careers in intelligence analysis, including a discussion of counterterrorism, human factors in terrorism, weapons systems, and counterdrug intelligence. Anyone interested in attending can register online here. A press release containing more information can be downloaded here.